The 6th Annual Hope Floats for My Hope Chest! Want to make a difference for My Hope Chest in your community? Rally to take ACTION during October and be a part of changing lives! Join My Hope Chest in Bringing Hope to Life by hosting a 3rd party event of your choice at your workplace, civic group, church or with a group of friends! From denim days and poker nights to golf tournaments and fashion shows, your efforts will change lives. A few of our supporters helping us change lives! 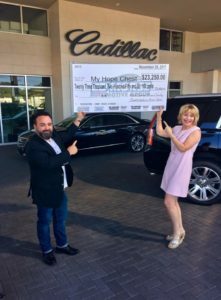 Ed Morse Automotive Group’s Drive for Hope is in it’s 6th Year! 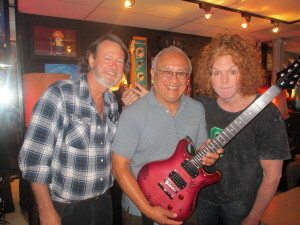 In 2016, Carrot Top auctioned a Pink autographed guitar! Contact us below to receive your information packet via email or mail or call (727) 386-0147 and we’ll help you every step of the way!